Quick programming note: Sunday's post will be an open post for those that want to chat while watching the christening of Prince Nicholas. Christening coverage at SVT starts at 11:50 local time (and here's a time zone converter). 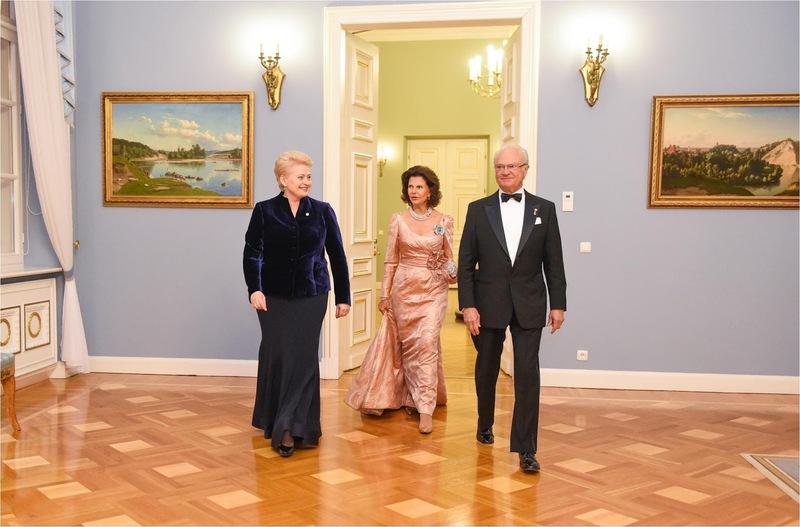 King Carl Gustaf and Queen Silvia embarked on a state visit to Lithuania. With President Dalia Grybauskaitė at the state banquet she hosted in their honor. Photo: Prezidento kanceliarijos nuotraukos/ R. Dačkus. Click here for a gallery from the first day. Second state visit this week with no tiaras for meeeeeee (to look at). I feel so neglected. Anyway, Queen Sil must know that this dress is just about the perfect shape for her, because it feels like we see it all the time. King Willem-Alexander and Queen Máxima visited Limburg, a former mining region in the Netherlands, yesterday. 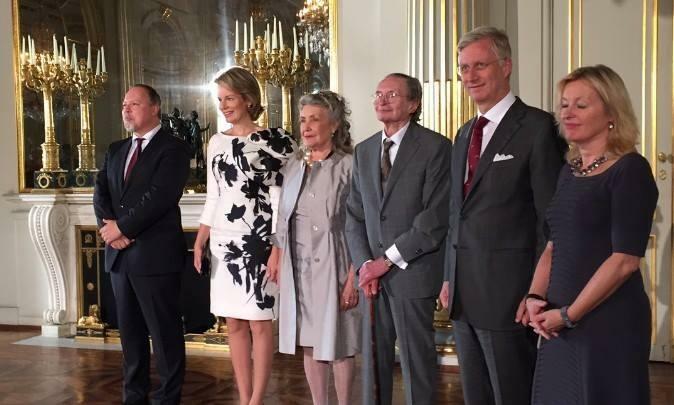 Máxima wore a new gray dress from Dolce & Gabbana. Click here for a gallery. Does excess froof in the general hat area negate a chic dress and a good hair and makeup day? That is the question. Crown Prince Haakon and Crown Princess Mette-Marit visited New York City. Prince Carl Philip and Princess Sofia visited Dalarna, where Sofia grew up. The thing worth mentioning here is that this coat is Victoria's, and the ongoing Swedish borrowing of clothing continues to be cute. King Philippe and Queen Mathilde attended the presentation of the Dutch Literature Prize at the Royal Palace yesterday. Can my love of a black and white print overcome my general aversion to giant shoulder bows? Eeeeehhhh...I give it a solid maybe. The Countess of Wessex visited Qatar as part of her work with Orbis UK and preventing blindness. Sophie wore a sleeveless dress from Gucci with a white cardigan added for appropriateness, I imagine. Click here for more on her trip. We started the week with a neck bow, let's end on one too: I'm loving the potential of this red dress, even though it feels like it should be out for a night on the dance floor instead of all cardigan-ed up on the royal scene.